Preface: To be honest with you, I was having trouble putting this piece into words just because I haven't been able to sit with my thoughts since the inauguration. Everything seems to have hit me at once and I'm still working through processing the madness. From all the photos these past few days filling our social media feeds of white people with red hats and white women with pink beanies with ears (p.s. don't forget more white women voted for Trump than any other racial group), people holding signs of cheetos, and enough pro-Hillary slogans to make this Muslim woman of color uncomfortable, there was one particularly striking image that was consistently shared and re-shared and praised by the "left." 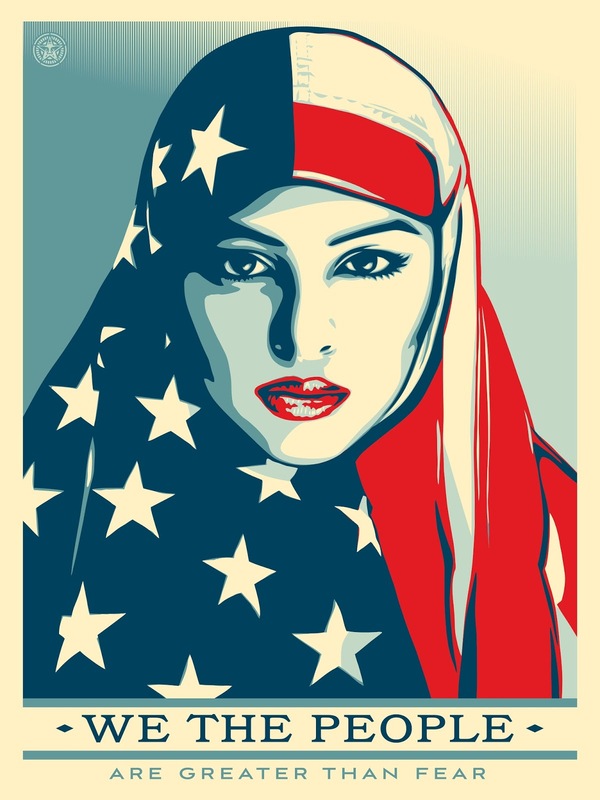 The American-flag-clad Hijabi woman illustrated in the trademark style of of Obama's "hope" poster is not short of striking. As this is a fashion blog of sorts, let's dissect this #ootd. While the women's march was making history, the new administration was already repeating it. You are only supposed to hold our silent faces wrapped in the cloth that has suffocated our voices. Anyway, it's more peaceful that way, isn't it? 1. Know that a hijab-wearing Muslim woman did not make this image. Actually, a woman didn't make this image at all. It was created by a white man: Shepard Fairey, artist & founder of the clothing brand OBEY, created this image from a photograph taken by Muslim-American photographer Ridwan Adhami. Were we unable to uplift the work of Muslim women instead? Are our images only able to be consumed when they are white-washed and sanitized? Update/edit (1/24/17): I also learned that the woman originally photographed by Ridwan 10 years ago actually does not wear the hijab herself and rather just donned it for the purpose of creating this image, which is even more problematic. 2. Know that the hijab--for *me* at least--represents a rejection of materialism, of capitalism, of euro-centric beauty standards (among other significance) and draping an American flag over it erases almost everything the hijab means to me. 4. Know that the 50 stars represent 50 states where indigenous people were forcibly removed and systematically cleansed and assimilated -- and that you cannot hold this flag in one hand and tweet #NoDAPL with the other. 5. 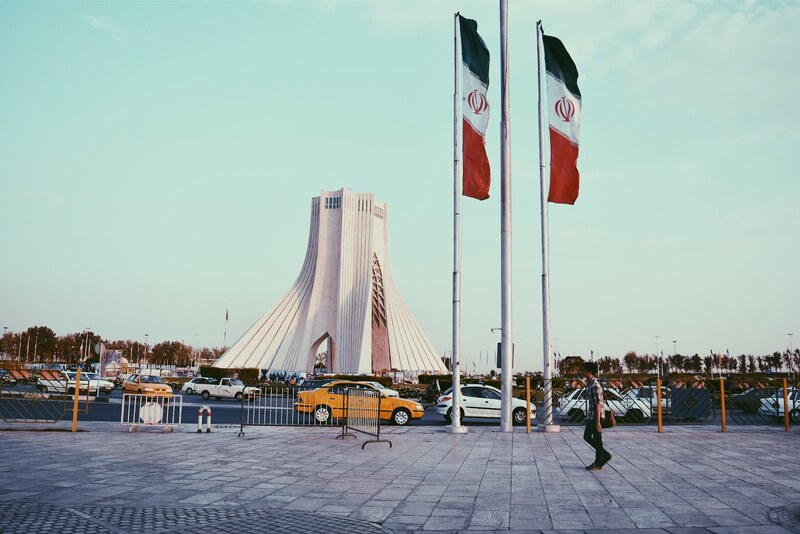 Know that patriotism is not a form of liberation, but is inherently oppressive. Especially given the violent history of the birth of this country--and all others like it--on the backs of Black slaves (many of whom were Muslim) and indigenous genocide. Trump's presidency is the logical outcome of the racist systems and institutions of white supremacy that this country was built on and this flag represents. 6. Know that Muslims are tired of having to "prove" they are American. But also, know that one does not need to be American to deserve respect, humanity, dignity, equality, rights, and freedom from hate and bigotry. An over-emphasis on being American as a prerequisite of deserving respect is harmful for immigrants and refugees. Especially under the new administration that already has plans of "extreme vetting" to prove American-ness. This is only pushing their agenda further. Also, see number 5.
quick note II: while I did not walk in the women's march, I do think it was very important, despite having massive valid critiques. I encourage everyone who marched to do so again for Black lives and for Indigenous resistance and for immigrant justice and for trans rights and for international solidarity.